The McCree Curve represents the average photosynthetic response of plants to the light energy. The McCree Curve, also known as the Plant Sensitivity Curve, begins at 360nm and extends to 760nm. 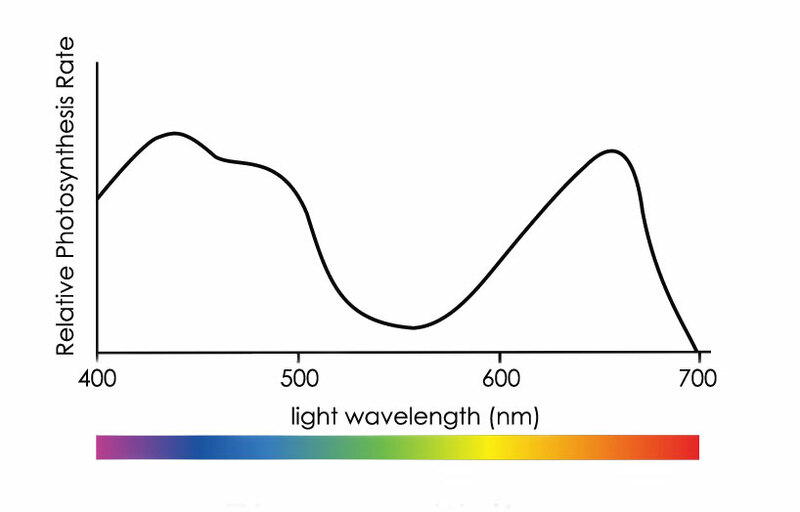 This curve can be placed over a spectral distribution chart to see how well a light source can affect plant growth.